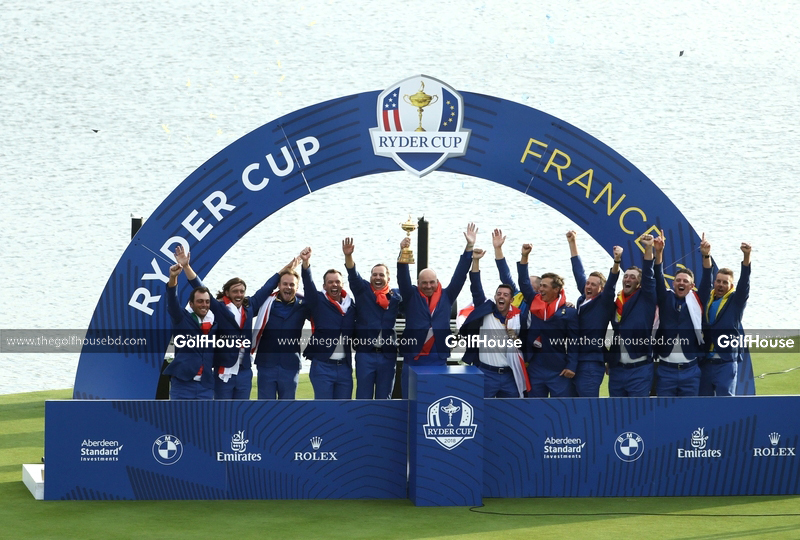 Francesco Molinari secured the winning point as Europe regained the Ryder Cup on a thrilling final day at Le Golf National. The Italian completed a perfect haul of five points with a 4 and 2 victory over Phil Mickeslon as Europe reached the 14.5 point mark. The United States won three of the top five singles matches on Sunday to close the gap on Europe to just one point. 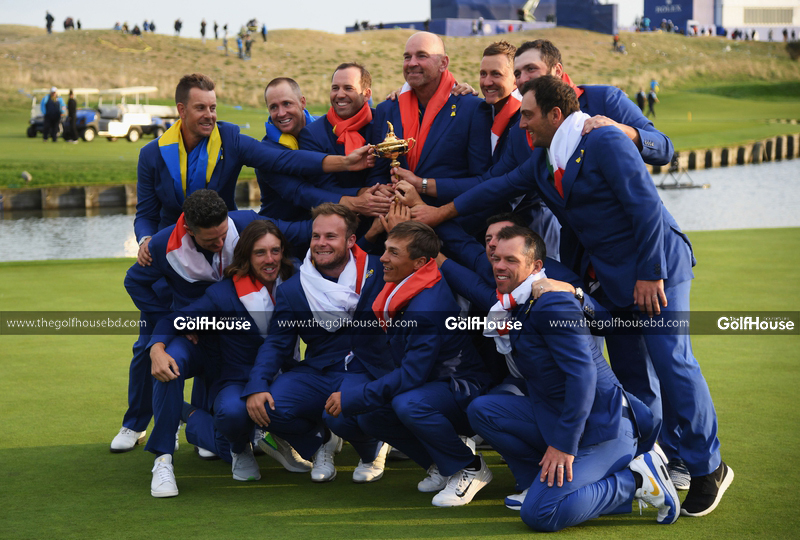 But Europe’s experienced players down the order all took a firm grip of their matches, and rookies Thorbjørn Olesen and Jon Rahm claimed the notable scalps of Jordan Spieth and Tiger Woods. 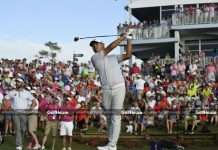 But it was Jim Furyk’s men who struck first on a thrilling final day, putting the first point on the board when rookie Justin Thomas beat Rory McIlroy by one hole in the top match in three-and-a-half hours. After Englishman Paul Casey took half a point from his match against three-time Major Champion Brooks Koepka to put Europe 10.5-7.5 up, Webb Simpson completed a 3 and 2 win against Justin Rose to reduce America’s deficit to two points. 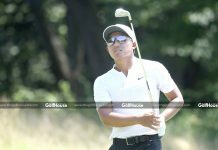 Tony Finau then ended his fellow rookie Tommy Fleetwood’s 100 per cent record with a thumping 6 and 4 win in match five to make it 10.5-9.5. 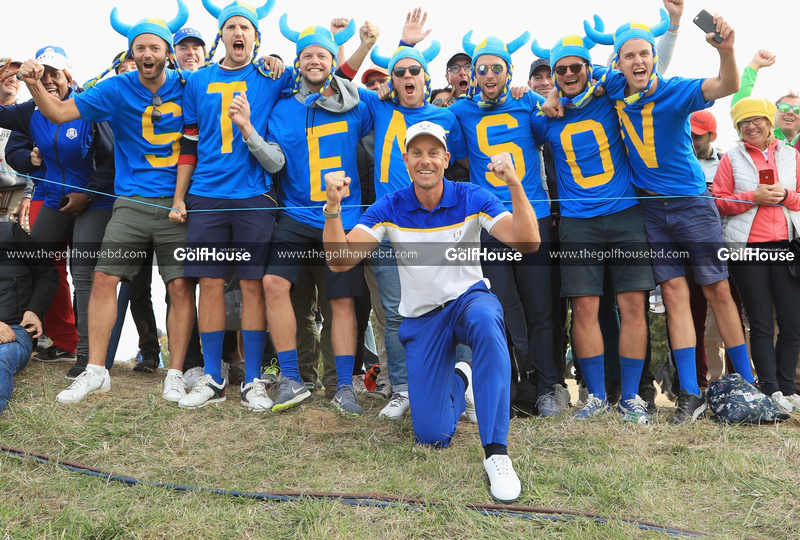 However, the tide quickly turned blue once more as Olesen completed a resounding 5 and 4 victory over Spieth to record his first Ryder Cup point, and Rahm followed suit when a birdie on the 17th gave him a 2 and 1 win over Woods. 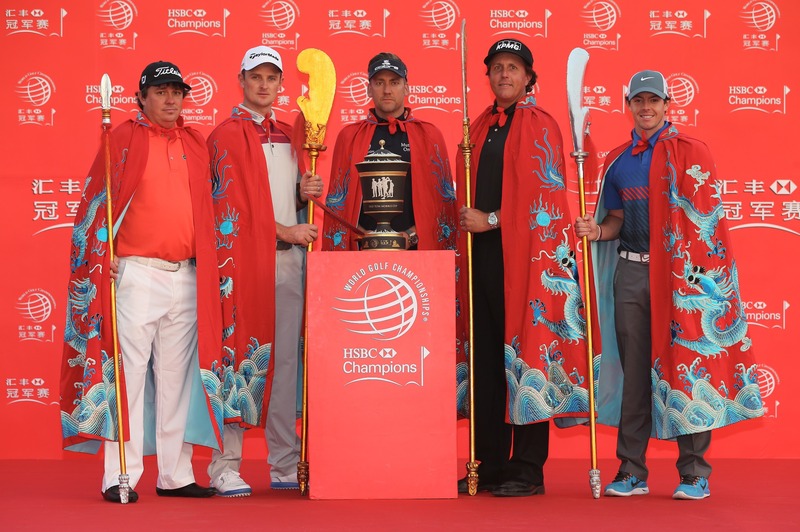 Ian Poulter birdied the last to secure a 2 up win over World Number One Dustin Johnson, and with Henrik Stenson, Molinari and Sergio Garcia all dormie in their matches, victory was assured. 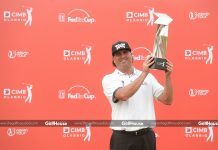 Stenson duly completed a 5 and 4 victory over Bubba Watson, Garcia became Europe’s all-time leading point scorer with a 2 and 1 triumph over Rickie Fowler and, although Patrick Reed secured a 3 and 2 win over Tyrrell Hatton, Alex Noren won his match with Bryson DeChambeau to ensure the final scoreline finished 17.5-11.5.